The Brigantes name is a relatively simple one to break down. The Gallo-Brythonic word 'briga' supplies the base, meaning 'hill, high'. In the branches of the language that descended from P-Celtic this became 'bryn' in Welsh, and 'bre' in Cornish, Breton, and Cumbric. In Q-Celtic Gaelic it became 'beinn'. Long before the P-Celtic variations had assumed their final form (although it is entirely unclear at precisely which point! ), the word had been appropriated by these northern Britons, either to describe their habitat as 'the highlanders', or their powerful military situation as 'the superior, elevated ones'. Add on a plural suffix and you have Brigantes. While the word originally referred to a hill, it was extended to include a fort in its meaning, as these were usually on hill tops. Then this was extended in turn to refer to the goddess of the home or main fort on the hill. The word is cognate with English 'burg, berg', and the German 'birg', all meaning 'mountain', although this was also later transferred to describe a fortified settlement. Subdivisions (or sub-tribes) seem to have existed, for instance, the later Elmetians in the district of Leeds, and others on the northern fringe of Northumbria, such as the Carvetii in the region of Carlisle (Roman Luguvalium, founded AD 79), who may themselves have only become distinctly separate when the Romans founded Luguvalium. Directly east of them along the line of the Wall were the Lopocares and the Textoverdi, while in Lancashire were the Setantii, and on the North Yorkshire coast were the Gabrantovices. Some or all of these may only have become apparent after the Roman conquest of Northern Britain. A recent discovery also mentions the Anavionenses, who are assumed to be part of the Novantae on their border with the Brigantes. The Carvetii (pronounced car-vet-ee) appear to have been particularly prominent amongst the Brigantine splinter tribes or subdivisions. The tribe's name is cognate with 'cervus', a deer in Latin. It can be speculated that they may have been followers of the god Cernunnos, the deer-antlered god. As 'cervus' is Latin, one would assume that the Gaulish equivalent would be 'carvus'. Then there is the Latin suffix '-id' ('descended from'), and this name indicates that the Gaulish equivalent is '-et'. So Gaulish 'carvus' + '-et' is exactly cognate to the Latin 'cervus' + '-it'. The Latin suffix, '-id', the stem of '-is', is a suffix of nouns that have the general sense 'offspring of', or 'descendant of', occurring originally in loanwords from Greek ('Atreid', 'Nereid'). In addition, '-ita' is another form in Latin. Though the Latin is apparently borrowed from Greek, it seems possible that it may also have been borrowed from Gaulish. The tribe were the followers of a god with deer antlers, making them his deer (a similar example exists in the Picts of Fib). The Gabrantovices tribal name (pronounced gab-ran-to-we-ches) probably has 'gabros' at its core. This means 'goat', or even 'horse' (cognate with both 'capra' and 'cabal', 'goat' and 'horse'). Horse seems more likely as this was a far more prestigious animal to the Celts. The second element may be *anatī-, meaning 'soul', which is related to *anatlā-, meaning 'breath'. And then there is the last element, 'vic', which may be *wīk-ā- (? ), meaning 'fight', and *wik-ari- (? ), meaning 'fierce', and *wik-e/o-, again meaning 'fight'. Since the Celts put modifiers after the nouns this could be rendered into English along the lines of the 'fighting horse spirits' - dramatic enough for any Celts! As for the the Lopocares name (pronounced lo-po-car-ees), the 'p' would be a 'k' in proto-Celtic roots, which leaves *lok- (? ), meaning 'blame'. Oddly, this is very similar to the Norse god, Loki, raising the question of just how old this tradition might have been. Could he have been borrowed from Celts too (see article)? If so then the second element is 'dear' (beloved), which equates to 'cara', and would appear to give a meaning along the lines of 'beloved of Loki'. Admittedly, that's a bit of a stretch. The Setantii name may be a misspelling (pronounced set-ant-ee), something that is entirely possible with ancient authors. If so, it may be sedos, a stag, plus 'anti' ('anati'), meaning 'soul' and providing the very eloquent 'souls of stags' as a name. And the Textoverdi is a straightforward option between two choices (pronounced text-o-verd-ee). If 'verdi' is the proto-Celtic 'werdos' then it would be the verb 'to say', or a noun meaning 'speech'. If it is 'wertos' then it would be 'worth' or 'value'. That might make sense as '[they who] obtain valuables' which would suit the Celtic magpie sensibilities. Overall, the Brigantes territory was vast, and probably formed of a looser confederation rather than a single kingdom. The later Romano-British kingdom of Rheged was a west-coast evolution of this tribal territory, while Bernaccia, Deywr, and Ebrauc occupied much of the east coast, emerging initially as part of the 'Kingdom of North Britain' in the late fourth century. 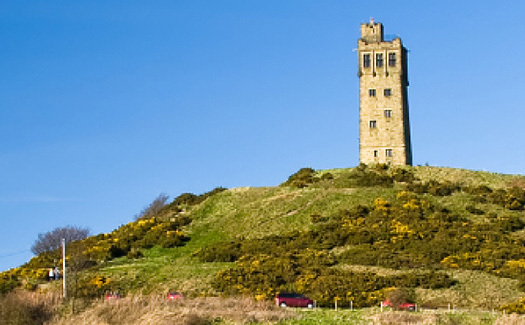 The hill fort of Castle Hill (in modern Huddersfield in Yorkshire) is constructed in the early Iron Age period, using a site that has been occupied for about 1500 years previously. It covers the entire hill top, being made up of a triple system of ramparts and ditches. Unfortunately, much of the modern remains are not Iron Age. Instead they date from alterations made to the hill top in the Middle Ages. The hill fort of Castle Hill is burnt, although the exact circumstances are unknown. The power of the Brigantes (or their fifth century BC antecedents) grows slowly throughout the north, indicating a mostly peaceful evolution, but this may be a rare example where armed forced is used to put down resistance. Unknown ruler of the Brigantes. Dau? Ruler of the Brigantes. Initially, the pastoral Brigantes accept the arrival of the Romans and act as a client kingdom, although the defences of Castle Hill are improved. An outbreak of violence among the Brigantes forces the Roman Governor to break off his campaign against the Deceangli and deal with the rebellious faction, but the existence of an anti-Roman faction in the north is now clear. Cartimandua betrays the High King, Caractacus (Guiderius), following his defeat in the territory of the Ordovices. Instead of providing him with shelter and support in his on-going fight against the invaders, she hands him over to them in bonds. 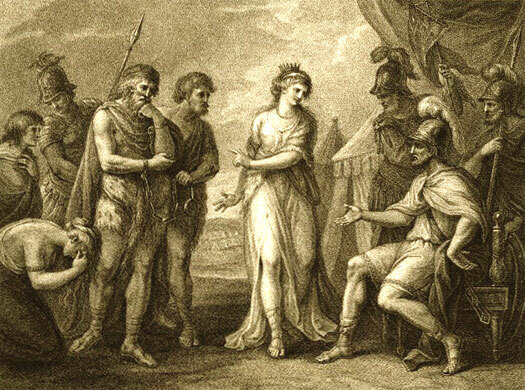 Cartimandua's husband, Venutius, leads a rebellion against her, probably as a ring-leader of the anti-Roman faction. The Romans put down the rebellion, and Venutius and Cartimandua bury their differences and are reconciled. Venutius apparently retains his position as co-ruler. Second husband of Cartimandua and co-ruler. Cartimandua deserts her husband for his armour-bearer, Vellocatus (a name that shows again the 'vello' component that is common in Celtic names. Despite the general trend for linguists to give 'duello' (a fight) as the origin of 'bello' ('war), it seems much more likely that 'bello' / 'vello' is a Celtic-Italic root for 'war', and that 'duello' is formed from 'du' plus 'vello', which gives a 'fight between two'. Note that the name Vellocatus uses the same elements as the name of former High King Catuvellanus, but in reverse sequence. It seems likely that 'cat' means 'battle' and 'vello' means 'war'). The infuriated Venutius foments revolt within their scandalised tribe and summons help from outside. Roman Governor Vettius Bolanus sends a force of auxiliary cavalry and infantry which, amid some bitter fighting, can do little more then rescue the queen. Cartimandua disappears from history. Former co-ruler and now sole independent ruler. Faced with the fact that their northern border now has a hostile tribe on it instead of a cooperative client tribe, the Romans invade under the new Governor Petillius Cerialis (who had made a notable escape from total defeat during the Boudiccan rebellion in AD 61). Following a hard campaign, the Brigantes under Venutius are conquered in AD 73, but continued unrest leads to the Brigantine territory being annexed by Rome in AD 79. Isurium (Aldborough, near Ripon) appears to be a Roman creation at this time which serves as the administrative centre of Brigantine territory. Luguvalium (Carlisle) is also founded. A Flavian date can also be ascribed to many first military sites such as Ambleside at the head of Lake Windermere, showing that the Carvetii had probably been involved in the Brigantine resistance. Unknown successor and Roman client king? Some archaeological evidence from the island of Lambay, and a second century map by Ptolemy, reveal the possibility that some Brigantine elements flee to Ireland and settle there. It is only towards the end of the century that Brigantine artefacts start to appear in Ireland, in the Cork/Waterford area of the later Munster. Roman Governor Agricola leads two invading columns into Lowland Scotland from the territory of the Brigantes. Over the course of three years the Votadini, Selgovae and Novantae tribes are subdued, and in AD 82, the Romans secure the Novantae western coast up to the Clyde to also contain the Damnonii tribesmen there and perhaps to prevent Irish landings. The 'crossing' mentioned by Tacitus into Novantae territory is probably a seaborne assault across the Solway Firth from the coast near Luguvalium in Brigantes territory. The northern Brigantes apparently revolt, perhaps under the leadership of Arviragus, a possible candidate for High King (as is any British chieftain who refuses to surrender to the Romans). Arviragus seems to be responsible for the burning of the auxiliary fort at Corstopitum, as well as others, as the British tribes of lowland Scotland stage a major uprising. By AD 100 the Romans give up Scotland, and fully establish their defences along the Tyne-Solway line. Geoffrey of Monmouth claims Arviragus as the father of Marius of the Silures. The Brigantes in the north revolt again, although no other details are known. It is in this century that Ptolemy records the existence of Portus Setantiorum (the Port of the Setantii). The study of Roman roads suggests that it is located near the modern port of Fleetwood, which is off Rossall Point at the mouth of the River Wye, confirming the likelihood that the port has since vanished beneath the sea. The Setantii (or Segantii or even Sistuntii) are a sub-division of the Brigantes who are located in what is now Lancashire, possibly in territory reaching from the River Mersey in the south to the southern reaches of Cumbria, bordering the Carvetii, another Brigantine sub-division. The Brigantes revolt as Emperor Antonius is pushing north from Hadrian's Wall towards the line upon which his own Antonine Wall will be constructed immediately following this revolt. The revolt itself is quickly put down. Despite over two generations of possible Romanisation (although the process is never fully effective outside of the south and east of Britain), the Brigantes revolt again, burning down Ilkley fort (Olicana). They are soon overcome and the fort rebuilt. As a punishment, the Brigantes suffer the loss of their territories, which are broken up. It seems possible that either two civitates are formed, or an imperial estate. For a time the civilian population is probably administered under direct military rule organised and overseen by the Roman Governor before a civil administration is appointed. Roman forts in the Pennines are reoccupied, most likely as part of the process of denying the Brigantes their territory. It could be at this time that the civitas Carvetiorum is formed out of north-western Brigantes territory, with a capital at Luguvalium (modern Carlisle). This could also be the period in which the local British tribes in the vicinity of Leeds (Loidis) detach themselves from the Brigantes and form an alliance with the Romans, who have always found it convenient to rule by alliances with local chiefs. It is these Loidis Britons who later emerge as the Elmetians. 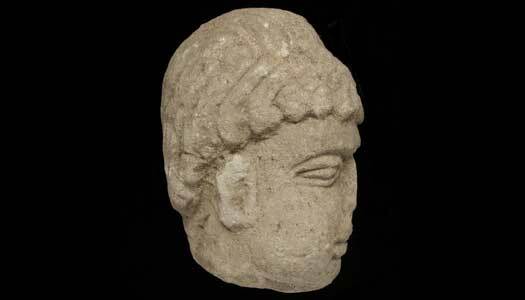 In 2013, a carved stone head of a possible Roman god is found in an ancient rubbish dump in County Durham (the north-eastern corner of Brigantes territory). The discovery is made at Binchester Fort, near Bishop Auckland, as a team is digging through an old bath house, close to the site of a small Roman alter discovered two years beforehand. The twenty centimetre sandstone head dates from the second or third century and is similar to the Celtic deity, Antenociticus, who is thought to be worshipped in the area in times of war. A similar head with an inscription identifying it as Antenociticus had already been found in Newcastle in 1862. Three bishops of the British Church participate in the Roman Church's Council of Arles: Eborius of York (Brigantes territory), Restitutus of London, and Adelphius of Lincoln (Corieltavi territory) or possibly Colchester (Trinovantes territory). Given that York and London are leading positions in the material copied and expanded upon by Geoffrey of Monmouth, it is possible that these three bishops are the most senior members of the church in Britain. No other Roman-era sees are known for the country. Roman magister of the Brigantes (or Parisi). Almost certainly as part of the rebuilding of Britain and the restoration of the army following the Barbarian Conspiracy, a tower and fort at Ravenscar are built 'from the ground up', according to an inscription found there. The magister, Vindicianus, is responsible, but it is unclear whether the inscription refers to the original construction or its later rebuilding at this time. 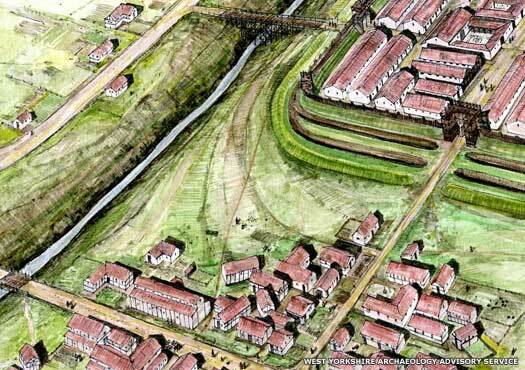 During the later part of the century, the Roman military command in Northern Britain gradually evolves into a Celtic military structure, presumably under the aegis of Coel Hen. Encompassing much of the Brigantes' territory, this military structure apparently emerges as the 'Kingdom of Northern Britain', which is governed from Ebrauc. As the military command evolves into a Celtic royalty, the kingdom soon breaks up into separate territories which eventually include Bernaccia, Caer Guendoleu, Dunoting, Elmet, Rheged, and The Pennines.